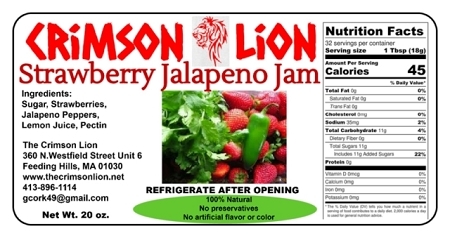 l Strawberry Jalapeno Jam- 20 oz. Home > Shopping Store > Jams & Condiments Shopping Cart > Strawberry Jalapeno Jam- 20 oz. Strawberry Jalapeno Jam- NEW 20 oz. , the combination of delicious flavors will be worth the wait. Sweet Pepper Relish- 16 oz.